Get ready to rock, mothertruckers... iconic frontman SEBASTIAN BACH's brand new solo album, Kicking & Screaming, has been scheduled for release on September 27th via Frontiers Records. The offering is produced by Bob Marlette (BLACK SABBATH, SHINEDOWN, ATREYU, FILTER) and features young virtuosic guitarist Nick Sterling and drum pro Bobby Jarzombek (HALFORD, RIOT, ICED EARTH). 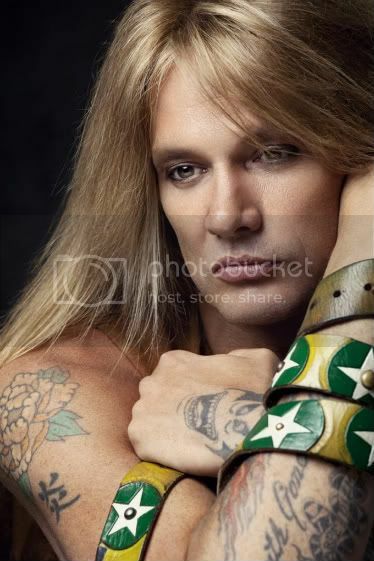 Of the new effort, Sebastian Bach commented, "I could not be happier with my new album, Kicking & Screaming. The songs, performances and sound quality are beyond what I could have ever imagined. This is my best record yet and I can't wait for all of you to crank it!" The album cover will be created by artist Richard Villa. According to Bach, it will feature "the hottest model in the land, and reflect the lyrics as well as the brutality of the music. It's gonna be rock n' roll to the 9th degree - very heavy, cool, trippy and nightmare-ish." Bach and his crew have been keeping busy playing selected tour dates nationwide, including recent appearances at major festivals M3 and Rocklahoma, and will continue to tour throughout the summer (please see below for confirmed tour dates). Fans can expect Bach classics, as well as a sneak preview of material from the forthcoming album. Sebastian Bach has sold in excess of 20 million records worldwide as lead singer with his former band, SKID ROW and as a solo artist. Far from just being a multi-platinum recording artist, the singer/songwriter/actor/entertainer has expanded his career over the past decade to include episodic television with a 5-season recurring role on the CW's hit series Gilmore Girls, starring roles on Broadway (Jekyll & Hyde, The Rocky Horror Picture Show) and national touring companies (Jesus Chris Superstar), and has appeared regularly on MTV and VH1.